FAQS - Bayou Tree Service, Inc.
How does a company calculate a bid? The tree industry is somewhat invisible and misunderstood, especially the pricing procedure. If you asked three companies to evaluate your trees you'll probably get three different recommendations and three different prices. Even if you have a defined objective, such as removing a tree, you will still get a large variance in price. Most legitimate companies price their work based on the number of man hours the job will take, the equipment needed to perform the job properly, disposal cost, material cost and the degree of difficulty. Extremely dangerous jobs are generally bid higher due to unforeseen condtions that may delay completion of the work. Some jobs may have extensive landscape of the trees, stone patios or art work which will require the technician to carefully lower limbs which will extend the time it takes to complete the job. 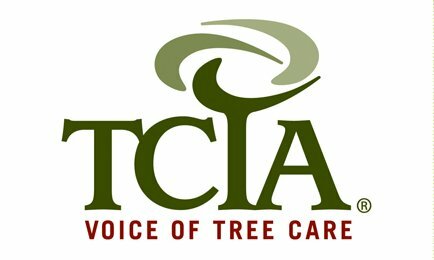 Is your company accredited by the TCIA (Tree Care Industry Association)? 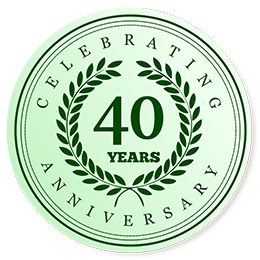 Yes, Bayou Tree Service is one of only two Tree Care Services in the state of Louisiana that has qualified for the honor. An arborist by definition is an individual who is trained in the art and science of plants, caring for and maintaining individual trees. ISA Arborist Certification is a non-governmental, voluntary process by which individuals can document their base of knowledge. It operates without mandate of law and is an internal, self-regulating device administered by the International Society of Arboriculture. Certification provides a measurable assessment of an individual's knowledge and competence required to provide proper tree care. Certified arborists are individuals who have achieved a level of knowledge in the art and science of tree care through at least three years experience and have passed a comprehensive examination developed by some of the nation's leading experts on tree care. Certified arborists must also continue their education to maintain their certification. Therefore, they should be up-to-date on the latest techniques in arboriculture. When should an arborist be brought into a construction or renovation project? During the planning and design phase. Irreversible tree damage is often built into the design of a project. Architects and engineers often don't know the effects their designs will have on trees. Consulting an arborist first can prevent the loss of a tree that is a valuable asset to a property. An arborist is a specialist in the care of individual trees. Arborists are knowledgeable about the needs of trees, and are trained and equipped to provide proper care. Hiring an arborist is a decision that should not be taken lightly. Proper tree care is an investment which can lead to substantial returns. Well cared for trees are attractive and can add considerable value to your property. Poorly maintained trees can be a significant liability. Pruning or removing trees, especially large trees, can be dangerous work. Tree work should only be done by those trained and equipped to work safely with trees. Can I buy a tree from you and plant it myself? You can but you maybe limited on size. Usually, 30 gallon to 65 gallon trees can easily be handled with a pick-up truck or small trailor and a few strong backs. Generally, bigger trees require heavy equipment to properly handle. Please keep in mind, if you decide to plant the tree yourself, there will be no warranty on the tree. Does Bayou Tree Service plant trees? For over 20 years, the professional staff of Bayou Tree, has been selecting and installing large trees (30gal - 700gal). 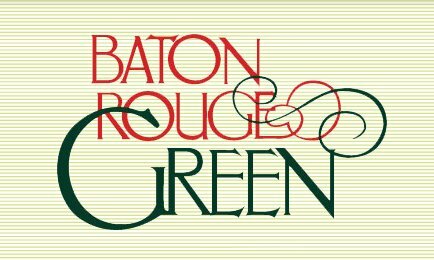 The staff of Bayou Tree Service, travels the South, to hand select trees for it's customers to ensure that the tree is of the highest quality possible. Trees clean water. Trees make water clean and safe for drinking, boating, fish and wildlife. Trees flight climate change. Planting 30 trees each year offsets greenhouse gases from your car and home. You'll breathe easier. Your trees will clean the air and return pure oxygen. More trees means breathing relief for all of us. Trees are cool. Your trees cool the air, land and water with leafy shade and moisture. Trees count. Every tree you plant is one closer to American Forests' goal of 20 million trees for the new millennium. Together we can plant the future! Trees celebrate life. Planting trees shares the joy of birth or a birthday, remembers a loved one, or says thank you to a friend. Animals need trees. Planting can restore forests, sheltering and nourishing wildlife, from bears to bald eagles, salmon to salamanders. Trees save money. Trees can reduce the cost of controlling stormwater, and reduce home energy use. Trees make good neighbors. Trees improve our quality of life. It's easy. Planting trees is just a phone call or mouse click - away. What do you do with the tree debris you generate from my yard? Our crews bring all tree debris back to our grinding yard. Your debris is then further processed through Bayou's horizontal grinder either into 4" or 2" mulch. We then sell this product by the yard. What trees should be fertilized? Most deciduous hardwood trees such as oak or elm should be fertilized annually, but certainly not all with the same nutrient mix. Different trees have different needs depending on species, age and condition. All deciduous trees are fertilized annually in the forest, when they drop their leaves. A thick blanket of fallen leaves provides a constant supply of nutrients to a tree for the next several months. In an urban setting, we remove fallen leaves, and we plant grass and shrubbery which compete with the tree for nutrition. Proper fertilization for urban trees mimics the natural process by which forest trees receive their nutrition. It depends on the type of tree, time of year and what your objectives are. Most trees in the south can be pruned year round if you do not take into account flowering and fruit production. Flowering trees that will need some kind of crown reduction should be pruned after they flower. Pruning prior to flowering will reduce flowering and fruit production.